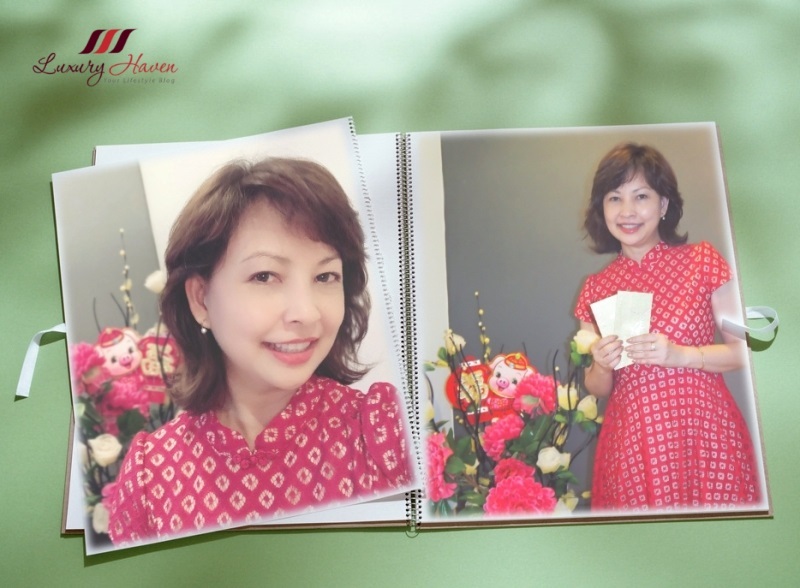 Spotting a new look on Lunar New Year, my hair was given a treat at H4U Salon. Using Korial Bio Perm with their Ginseng Extract improved formulation, my tresses were cut short with a bang and had a mixed of Japanese Root Lift Perm + Cold Perm. Oh yes, my hair was finally getting longer and I was happy after a lengthy wait. Then my tresses got messy, so I had a nice trim in January exposing my natural curls. But came CNY, and my stylist thought I should welcome the festive season with a new look. So there I went again, cutting shorter and shorter. 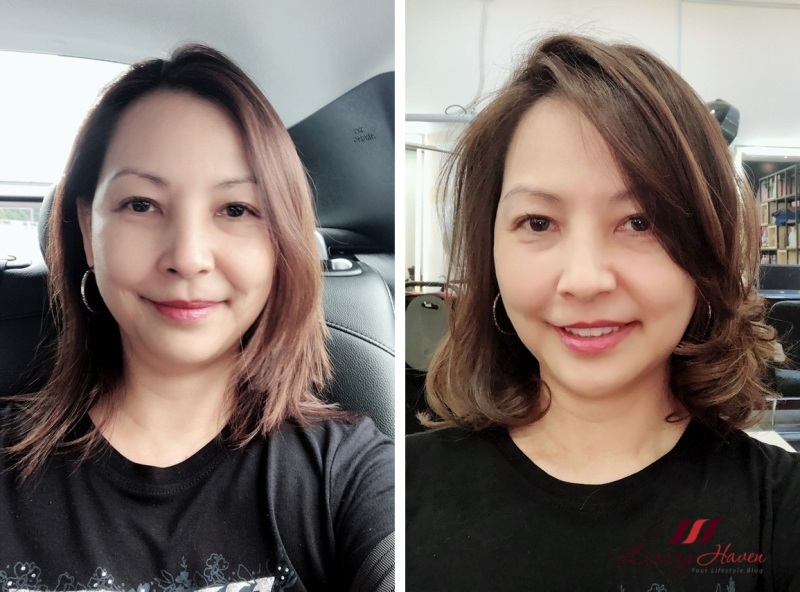 This time, my crowning glory was given volume at the top using the Japanese Root Lift Perm, followed by Cold Perm for the body, lending a touch of maturity to this short style. I would say, distinctly more womanly. All Geared Up For 2019 with a New Hairstyle! Happy New Year, Sunshine! Are you ready to welcome 2019? 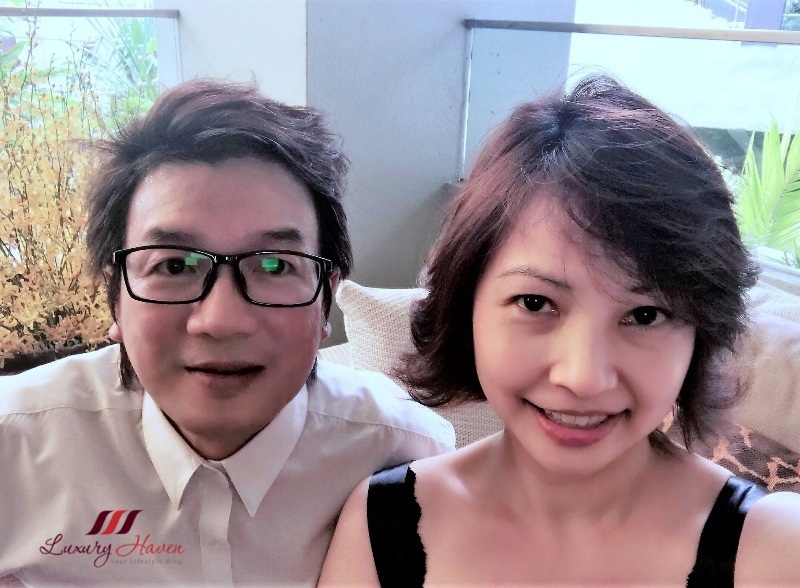 Last Christmas after giving away 10 Free Hair Cuts, I felt I needed a good cut myself too to usher in the New Year, and so off I went to H4U Salon located in Centrepoint, Orchard Road. My hair was getting messy and out of shape; badly in need of some tidying up. Shawn, H4U Founder/Director, cut off layers of my hair giving me more volume. I have natural curls, and my curls will appear usually after a good trim. This feminine shoulder-length style features long thick fringe, and my current dual-tone colour adds a dimension and heightened the elegant feel. What do you think of my new hair cut? 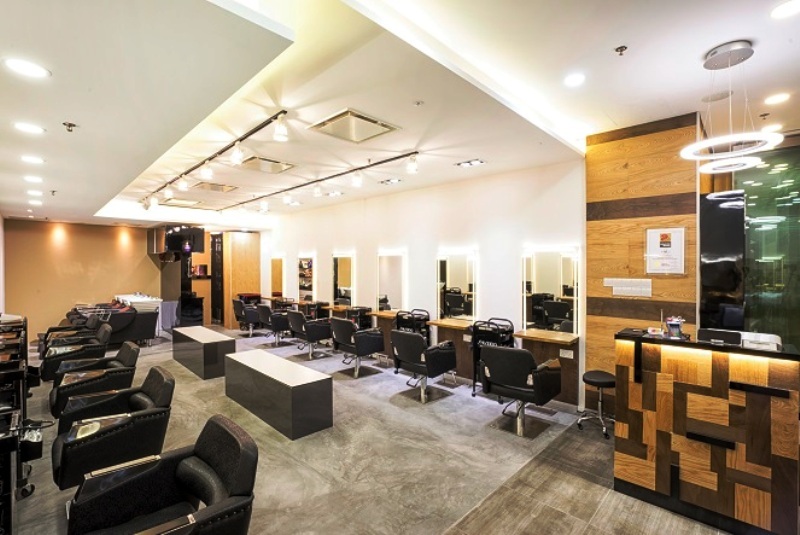 Reasonably priced at just SGD 69/SGD 60 ( Female/Male ) for Director's Cut, and SGD 49/SGD 40 ( Female/Male ) for Creative Director, I think the prices are rather attractive for a reputable salon in Orchard Road. 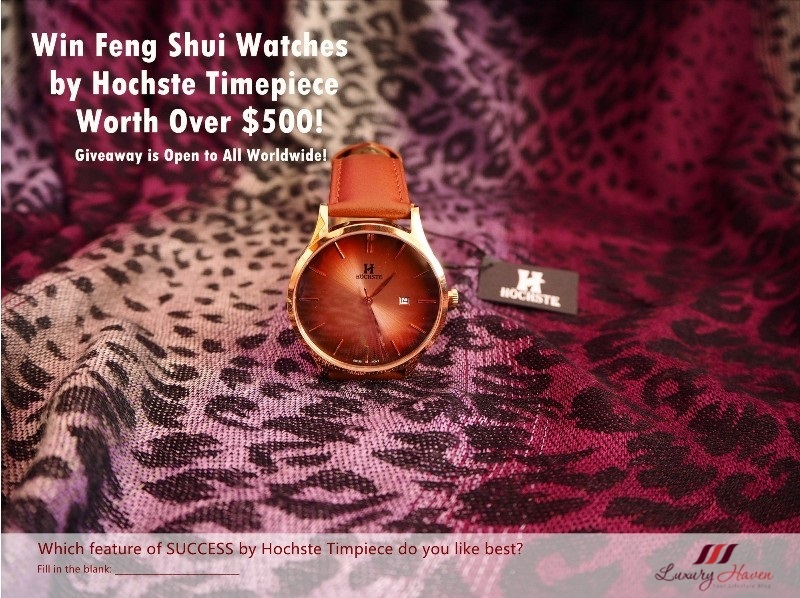 Besides, followers of Luxury Haven gets a 30% off these prices! 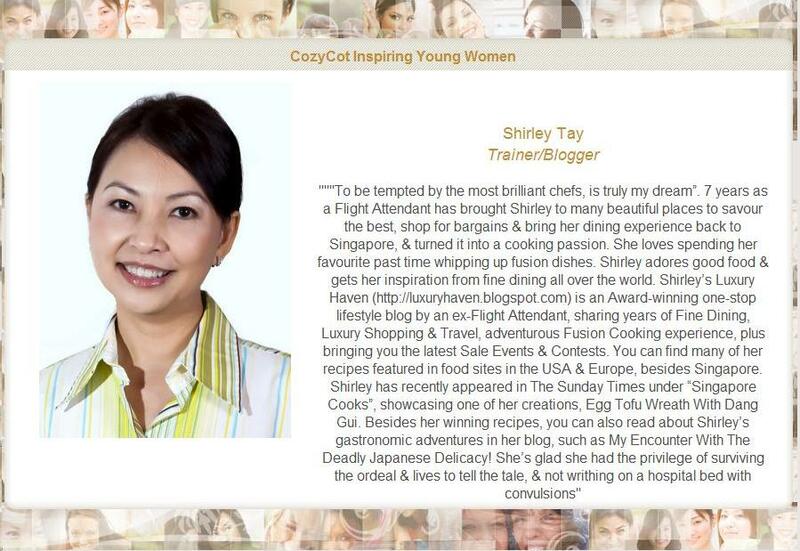 Well, 3 winners of Luxury Haven have already claimed their prizes at H4U Salon. The ladies are delighted with their new hairstyle, and have some very good comments about the salon. Let’s hear what they have to say! 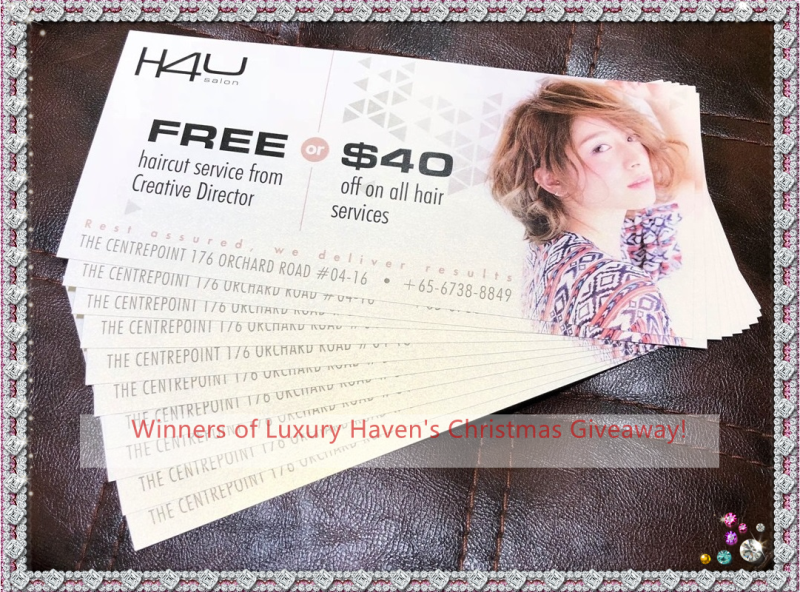 Christmas Giveaway: Free Hair Cut Winners at H4U Salon! Hohoho! 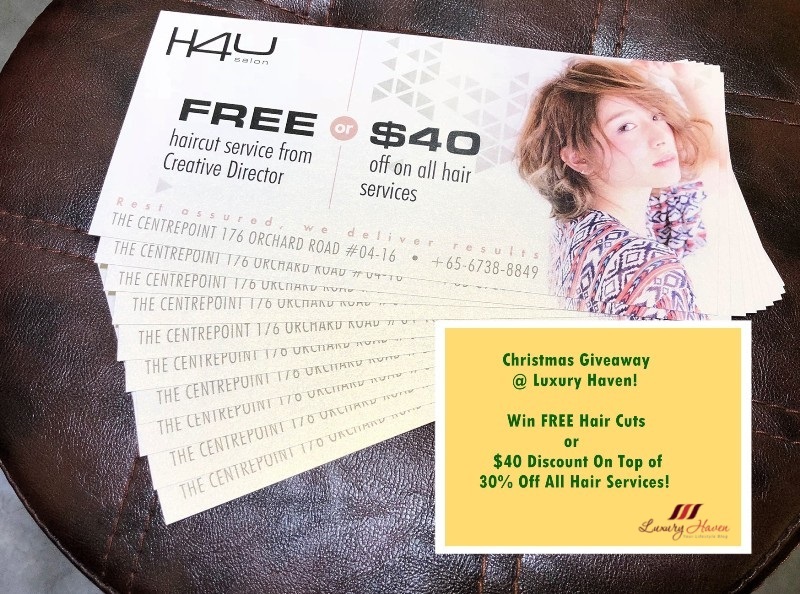 Christmas is just weeks away, and 10 readers are getting a Free Hair Cut or $40 Discount at H4U Salon located in The Centrepoint! 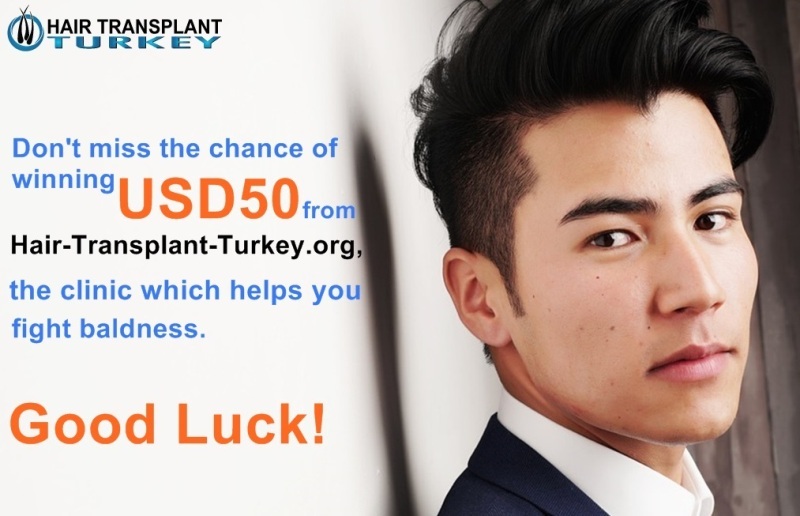 Even if you are not in the winning list, you can get a new hairdo too! 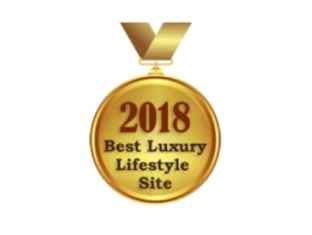 As the official ambassador of H4U Salon, all followers of Luxury Haven will also get to enjoy 30% off all hair services + 20% off hair care products at the 5-star hair salon! 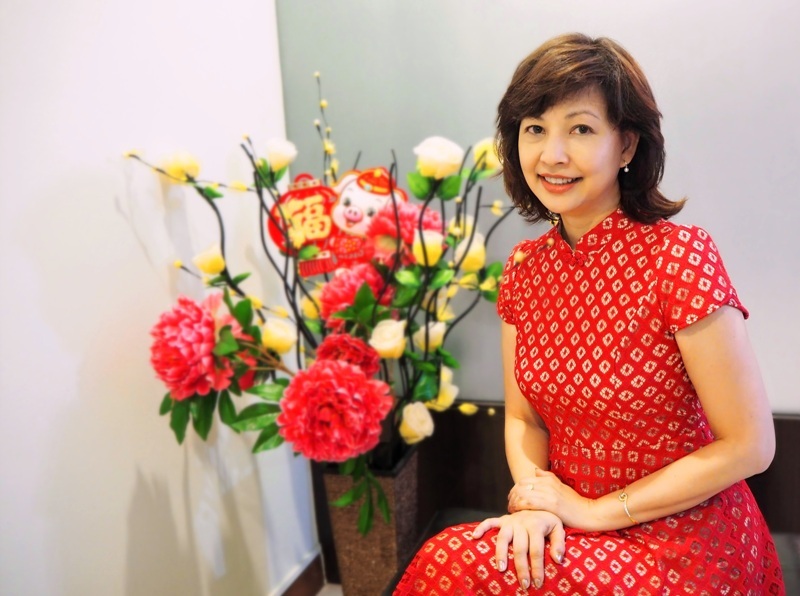 So book your appointment now at Tel: +65 6738 8849 to beat the festive crowd! 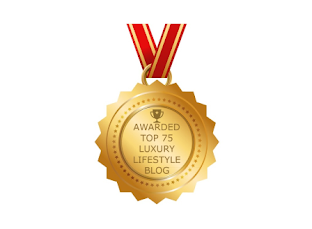 Promo Code: LUXURY HAVEN, valid for new customers only. Of course, the 10 winners will have the privilege to add on other hair services at 30% too, thanks to the generosity of H4U Salon! 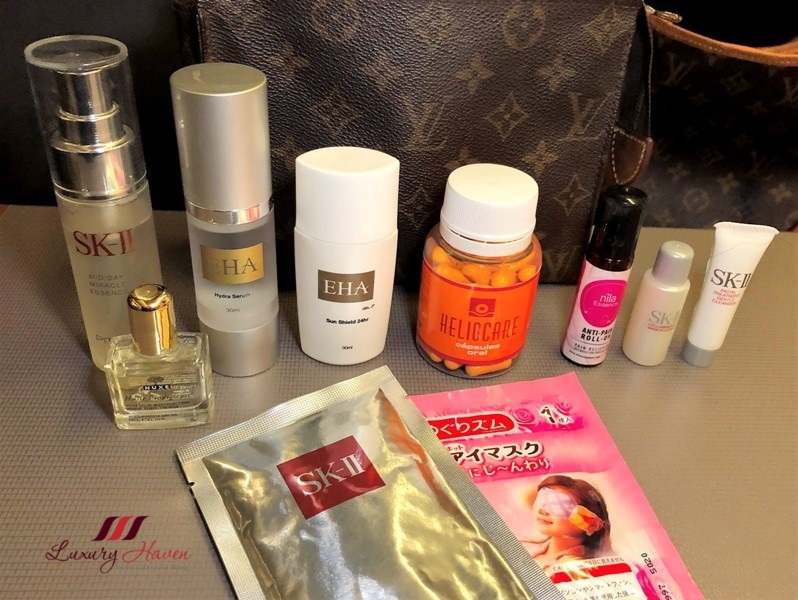 Here’s announcing the winners………..
Shiseido 5-Step Hair Treatment + Giveaway Worth $400! 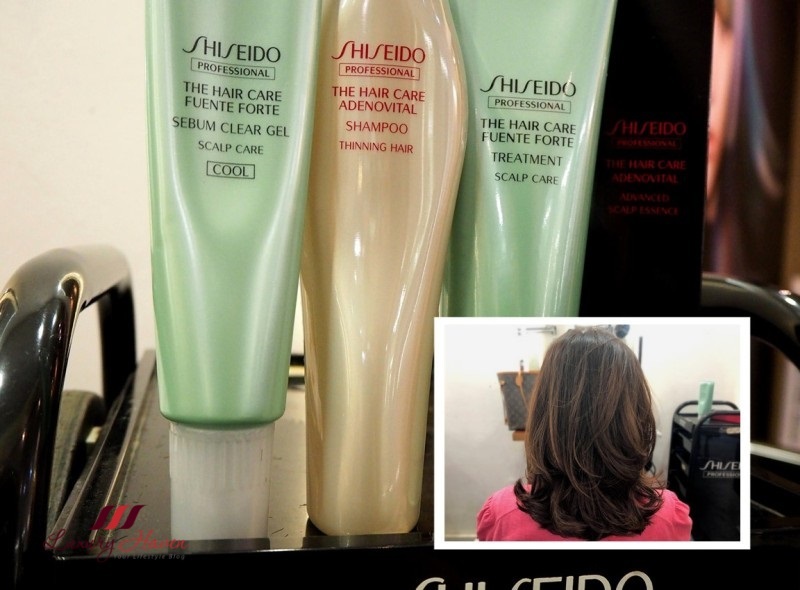 Give your hair some love this Christmas by pampering your tresses with Shiseido Intensive 5-Step Hair Treatment at H4U Salon! Watch dry, damaged hair problems vanish as Aqua Intensive hair care deeply and fully hydrates every strand, from root to end. Discover Shiseido’s Aqua Mimic Technology infuses the entire length of the hair with intensive moisture and locks it in. Quench your hair’s thirst today and revive those lustrous locks with Shiseido Aqua Intensive Hair Treatment for Damaged Hair. If you have been putting those hair treatments aside due to the cost, you will be pleased to know that followers of Luxury Haven will now get 30% off all hair services at H4U Salon, conveniently located in the Orchard shopping belt. * Discount valid for new customers only. That’s not all! We are now giving away 10 FREE Hair Cuts or $40 OFF All Hair Services! 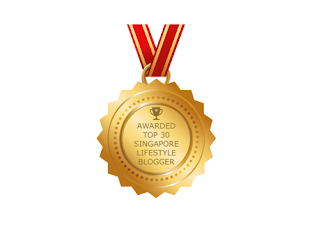 H4U Salon has also generously allowed the 10 winners to add on the 30% Reader’s Discount on top of their prize! Read on to learn more about this Shiseido Intensive 5-Step Hair Treatment, and give your hair a treat this festive holiday! 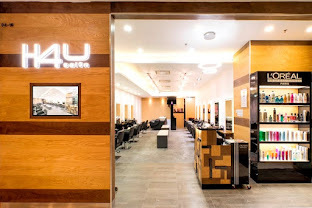 Christmas Giveaway: Win FREE Hair Cuts x 10 at H4U Salon! Beauty Junkies, wouldn’t you like to have a new hairstyle this festive holiday? Thanks to H4U Salon, we are giving out 10 FREE Hair Cuts by their Creative Directors or $40 Off All Hair Services! That’s not all! Winners will also get another 30% off if they add on other hair services on top of their prizes! Isn’t that such a steal? 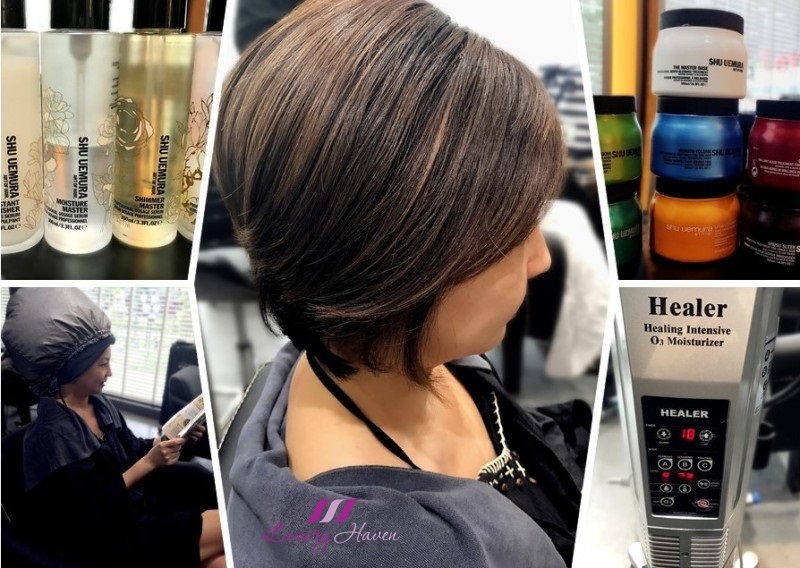 Strategically located right in the heart of Orchard Road at The Centrepoint, H4U Salon has some pretty good reviews too. So be sure to check them out! Are you a fan of watching model-search or celebrity-search shows? Have you noticed that there is always one essential step common in all those shows? Yes, you guessed right. Those shows always have the makeover episode. It’s when each contestant undergoes an “overhaul” or transformation to look like a star. Every minute detail, from nail polish to earrings are laid out and followed to a T. Watch another makeover episode once again, and you’ll realize what they almost always change first is the hair or hairstyle. Indeed, our hair is our crowning glory. And an unkempt and messy hair equates to a less attractive individual. In this world full of selfies and stolen shots, one cannot afford to look less than their best. And having well-groomed and beautiful hair is vital. Having the hairstyle that best compliments your face shape and skin colour can take a woman from plain Jane to vixen Veronica. There was also a study conducted equating good hairstyle to smarter and more capable people at work as opposed to employees having a bad hair day. The first step to lustrous and bouncy hair is having a healthy scalp and keeping away from dandruff and itchiness. Stress factors also contribute to an unhealthy scalp besides environmental pollution etc. Sadly, many of us couldn’t care less or failed to pay attention to what our hair is trying to tell us. So it is good to make it a habit to visit your hair salon for a scalp treatment and to check the condition of your scalp especially after a chemical treatment to help “ detox “. 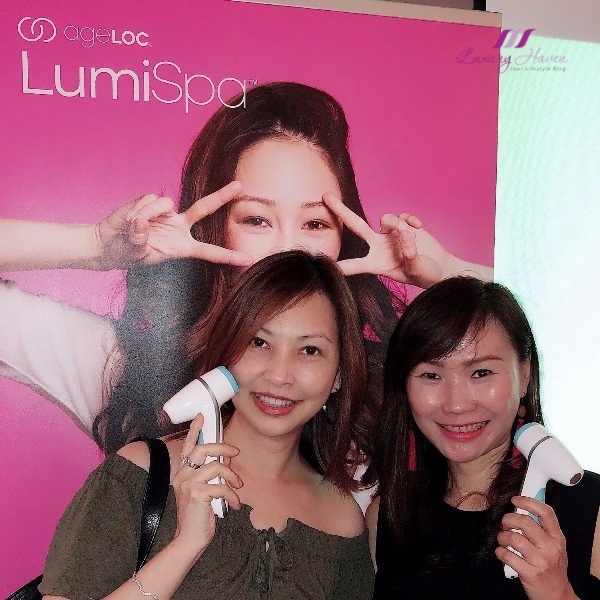 During my visit to H4U Salon, I was introduced to Shiseido’s Fuente Forte Scalp Treatment using the Barrier Care Technology that reinforces skin’s natural barrier function, making your scalp resistant to various kinds of stressful stimuli. This time, I had the vivacious Alex attending to me. He is friendly and chatty, and I am sure your time at the salon will pass quickly with him engaging in interesting conversations. Besides, followers of Luxury Haven will get a Special 30% off the Intensive Scalp Treatment! Come experience a relaxing head massage, and check out what the treatment steps are like! * Discount valid for new customers only. H4U Salon 5-Star Reviews + 30% Off All Hair Services! 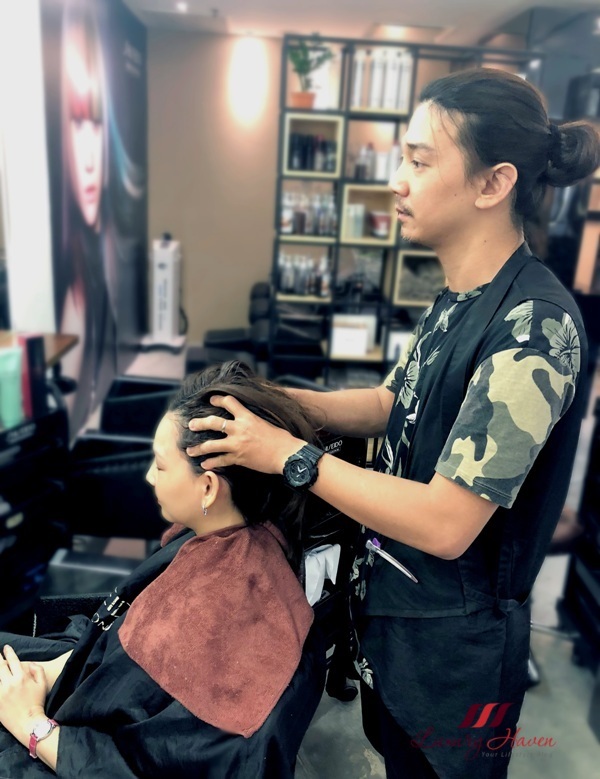 If you are looking for a reputable hair salon in the heart of Singapore’s shopping belt, you may be delighted to learn that smacked right on Level 4 of The Centrepoint is H4U Salon, a hairdressing parlour commending 5-star reviews. 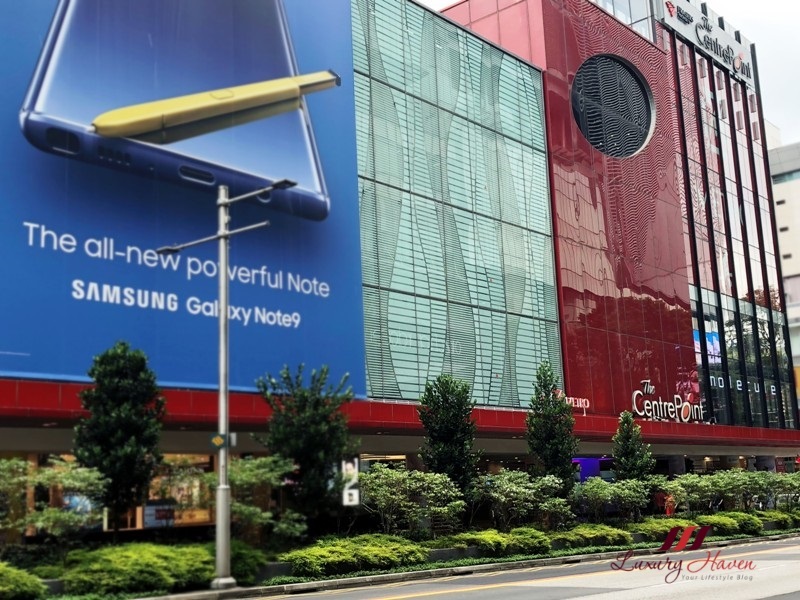 Within walking distance from Somerset MRT station is Centrepoint, a prominent landmark in Singapore that no shoppers will miss. Popular for its dining concepts spanning 7 levels after a 16-month refurbishment, the shopping mall is no stranger to both locals and tourists. 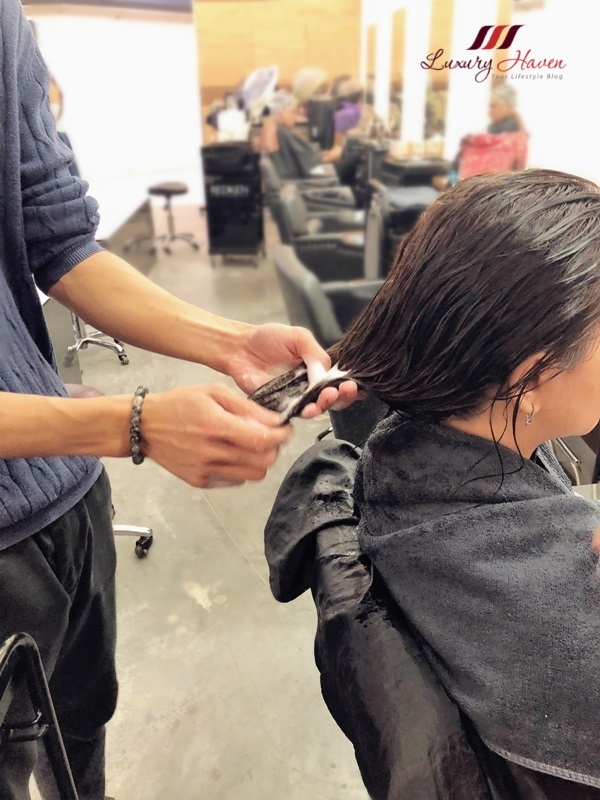 Helmed by Shawn Lee and his team of hair stylists, all with at least 10 years’ experience, the squad at H4U are all out to impress you with their skills and services. 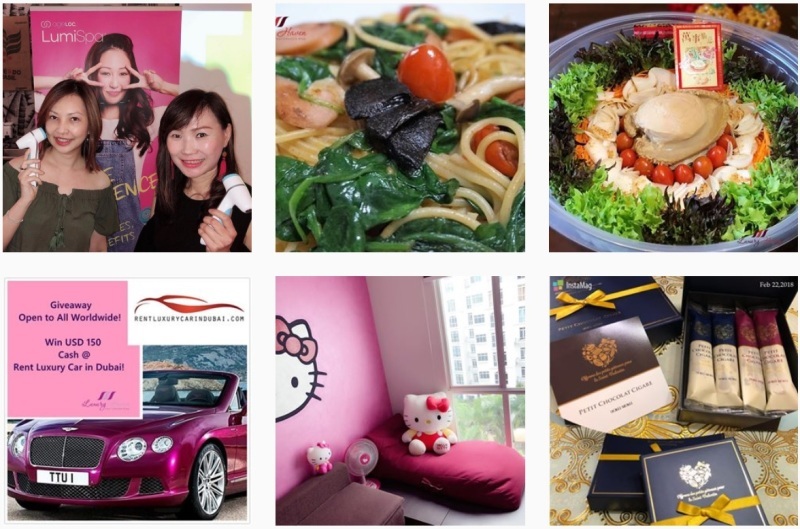 Previously situated at Midpoint Orchard, H4U shall be celebrating their 3rd year in Centrepoint next May. I know quite a handful of you have been following me from salons to salons all these years, taking advantage of our special readers’ discount. I am pleased to announce that H4U is now the official hair sponsor for Luxury Haven, and followers shall be getting an attractive 30% Off All Hair Services, and 20% Off Products from now! * Discount valid for new customers only. Hey guys, it has been a long while since my last Instagram Round-Up post in 2016. Fast forward two years down the road, I have to admit I am still not very active on Instagram. Somehow, I can connect better with Facebook; generation gap perhaps? 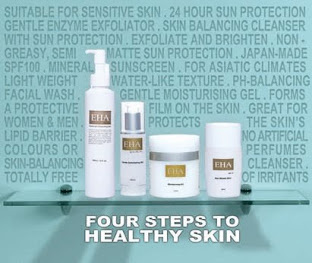 introducing their a dual action skin care system that offers skin renewal and deep cleansing benefits. It’s party time! Chrstimas and New Year are just around the corner, which means that we need a new hairstyle to match our festive outfits and flaunt our new look. Whether you need to add volume to your hair, a touch of sweetness or colour, here’s a round-up of short and long hairstyles by Mosche Grand Hyatt to fit all occasions. No sulfates, no silicones, no parabens, no allergens; the organic hair care products you have been waiting for is now at Mosche Grand Hyatt! An increasing number of people are willing to splurge on quality hair care products, and we are seeing more hair salons offering a wider range of natural and organic shampoos, hair conditioners, hair dyes etc, giving us a peace of mind when using these paraben-free products and so on. Following my recent post on Organic Hair Colours, I will be touching on Organic Hair and Scalp Treatments offered by Eva Professional Hair Care today. Energikum for Progressive and Temporary Hair Loss – The Energikum is a unique line that has been designed to fight a wide range of hair loss problems with the latest in cellular technology. 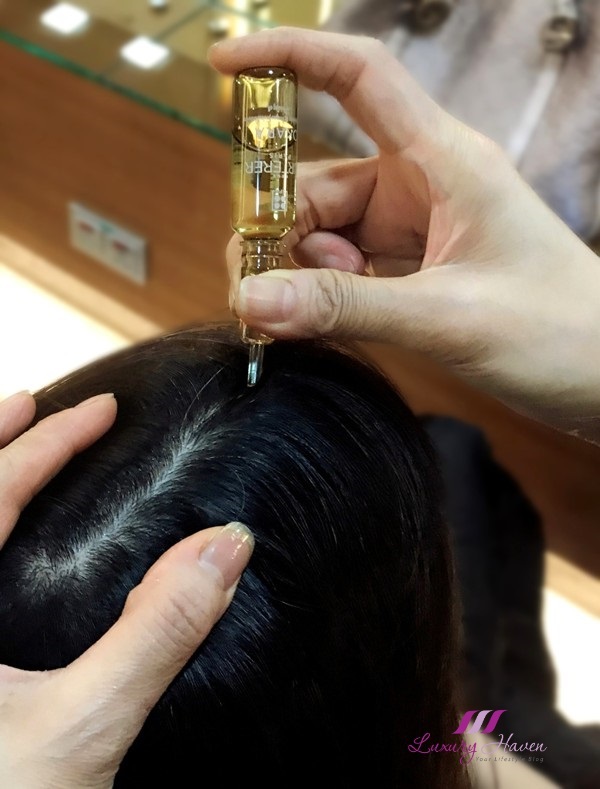 Oxygenum for Dry and Oily Dandruff – Oxygenum treatments act with varying levels of intensity, according to the degree of sensitivity, purifying and sanitizing the base of the scalp for more powerful and effective action. Vitalikum for Hair Loss and Oily Hair, as well as Hair Loss and Oily Dandruff – Vitalikum is an exclusive range in treats hair loss with specific, intensive solutions that work to give the hair back the vitality it has lost. 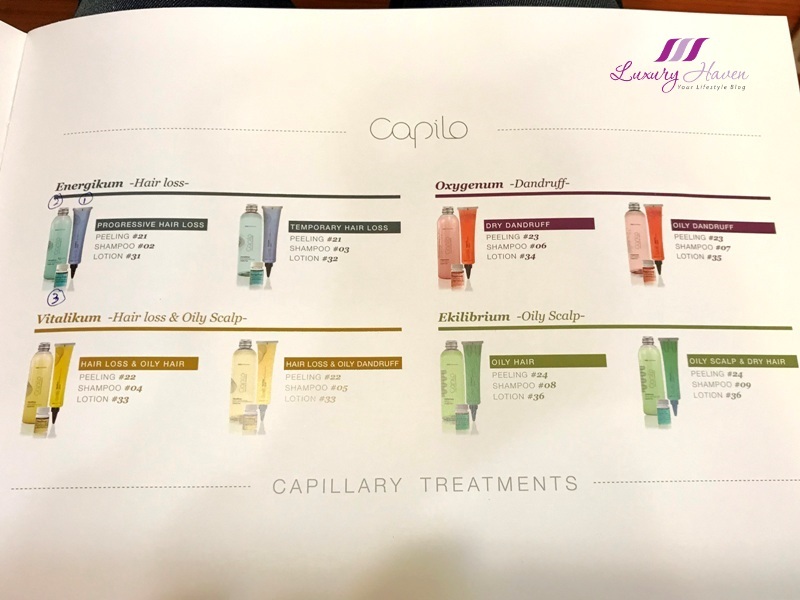 Ekilibrium for Oily Hair, and also Oily Scalp and Dry Hair – Ekilibrium, treatments strengthen the scalp’s defences and attempt to optimize the pH balance for healthy, balanced hair. Loreal Organic Hair Colours, Try INOA With No Ammonia! It's ammonia-free, it's odourless, it's permanent. Thinking of changing your hair colours, or covering your grey hair? Loreal’s INOA gives you high coverage with up to 100%, whilst still keeping the colour looking bright and luminous! More people are going into organic hair dye, so I decided to visit Mosche Grand Hyatt to give it a try too. I was recommended INOA, by Loreal Professional, a leading no ammonia permanent hair colour range with Oil Delivery System (ODS2) technology, that uses oil molecules instead of ammonia to open the hair shaft and soak in the dye. After discussing the colours with my hair stylist, we picked 2 colours – INOA 6.45 Dark Copper Mahogany Blonde, and the INOA 9.13 Very Light Beige Blonde. I am extremely satisfied with the result. Do you like it too? As much as I cherish straight hair, my only concern is having a flat top. Do you have this problem too? 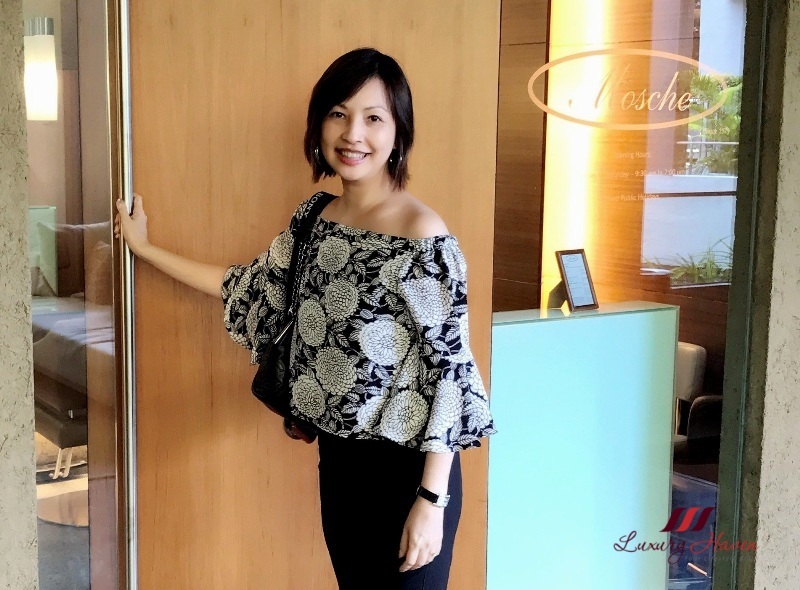 On my recent trip to Mosche Grand Hyatt, my stylist decided to give me a Root Perm, specifically it is called a Directional Root Perm. The perm won’t give me curly hair, but this technique adds long-lasting body and lifts near the scalp without curling the rest of the hair. The end result gives my hair a natural dimension with fuller volume at the top as it adds height to the crown, thanks to Daniel, Senior Stylist at Mosche. Made in Japan, Mucota is one of the top prestigious hair care brands. Its Mucota Scena Treatment focuses on mechanism of hair damage that gives hair freshness and shining luster, creating more beautiful hair. With Mucota Scena Treatment, it’s advanced nano-technology to the rescue! Using advances in material-sciences and biotechnology, Scena+ restores and protects hair by focusing on replacing important natural elements that make up the intercellular components in hair. I enjoy pampering my hair as much as my skin. So indulging in both scalp and hair treatments are of utmost importance to me in order to achieve healthy and lustrous hair. 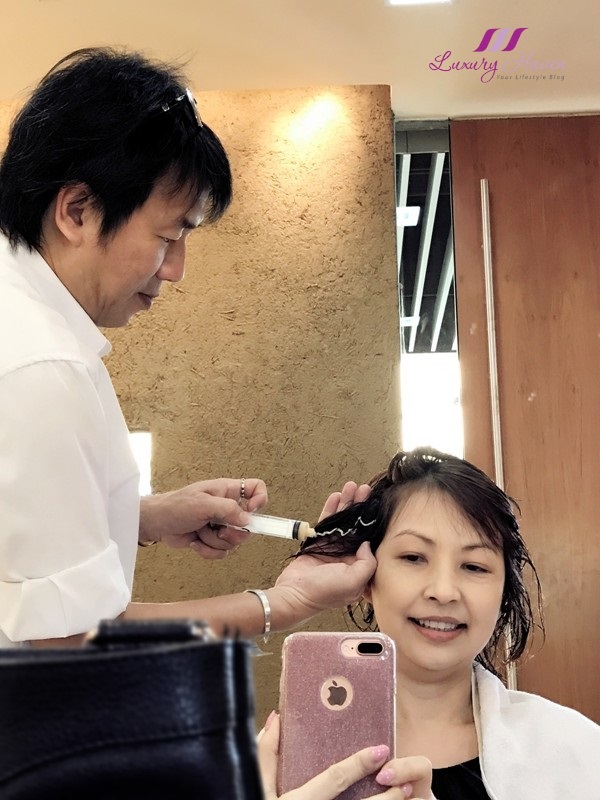 It was one of those days where I had visited Mosche at Grand Hyatt Singapore to have my hair done, and was highly recommended to try their 3-Step Mucota Scena Hair Treatment, which I shall be sharing in this post. Does your hair stylist add on a Scalp Protection Treatment before colouring your hair? 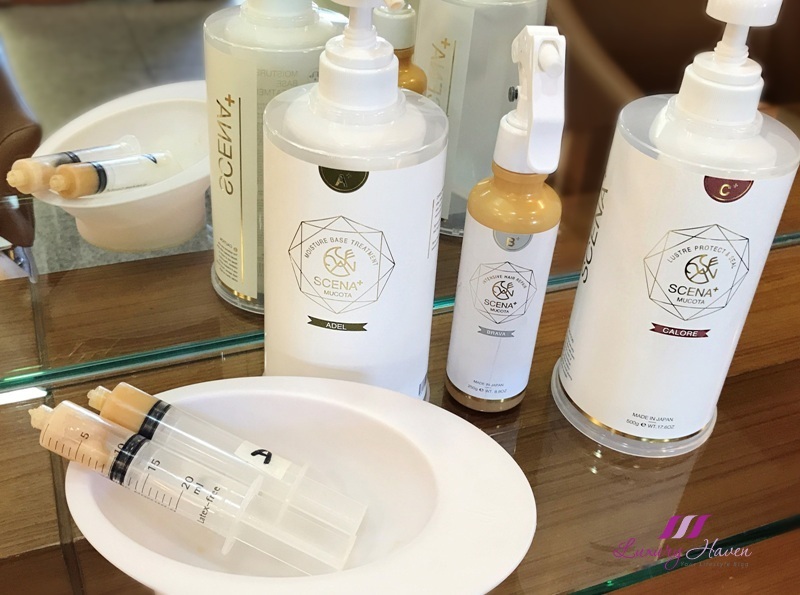 Generally, a scalp protector such as ampoule is formulated to protect your hair and scalp during colour treatment, highlighting and bleaching, while enhancing the radiance and intensity of the colour. 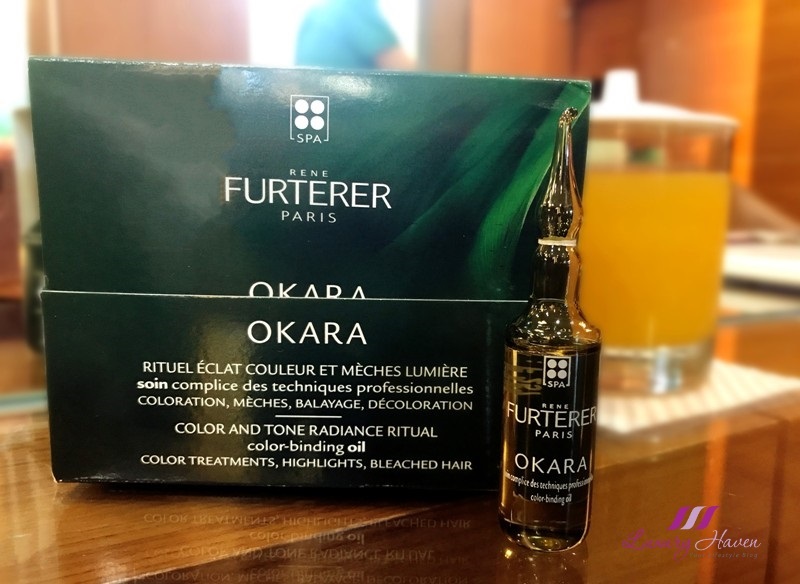 During my recent visit to Mosche Grand Hyatt to colour my hair, the Rene Furterer Okara Color-Binding Oil was applied on my scalp and hair. 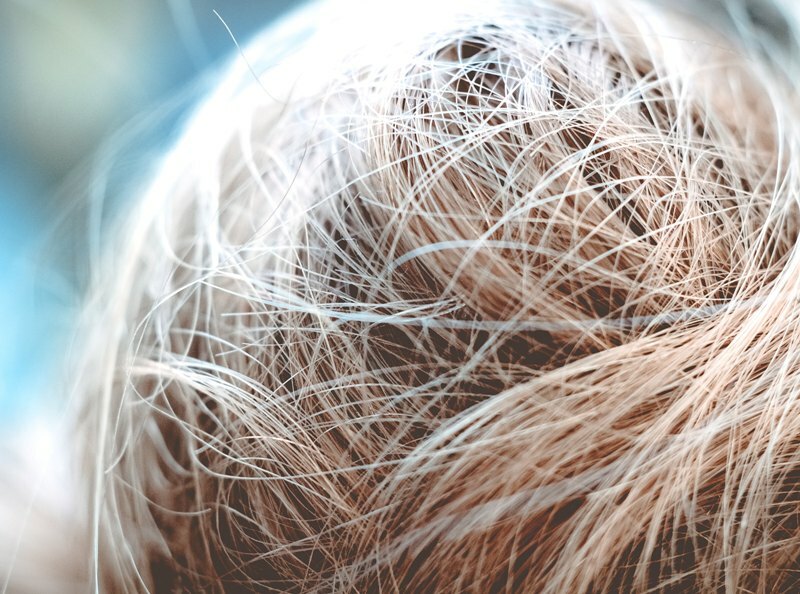 Rich in amino acids, the Anatide complex shields hair to prevent damage and protects against dehydration. This time, I decided to have tri-colour but without bleaching as it can be very damaging to the hair. I wanted something mild but with visible contrast. I asked my stylist Daniel if that is achievable, and he said it is possible but of course results would not be as prominent as bleaching. I decided to go ahead and give it a try. 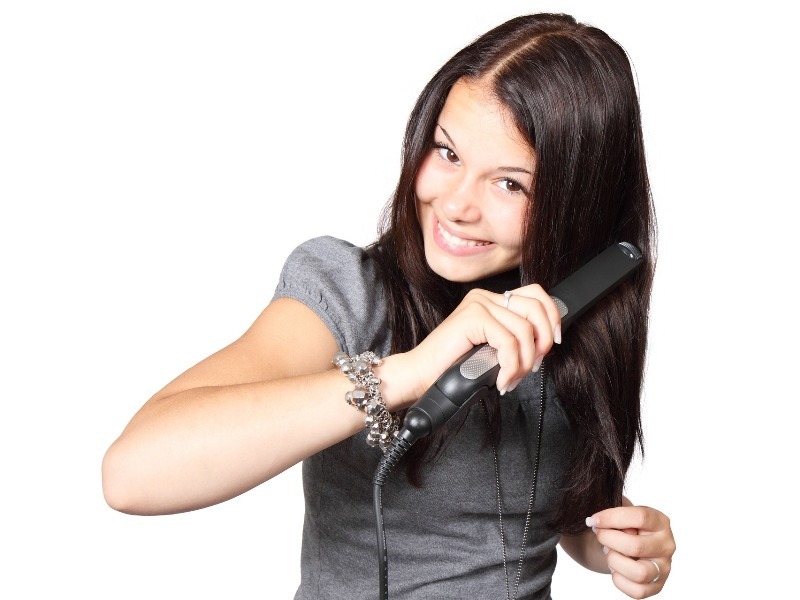 3 Easy Tips To Quickly Straighten Hair! Summer is upon us and looking your best while you are out and about with friends and family is of importance to many. With the warmer temperatures and high humidity comes difficulty when styling your tresses. Often, there are challenges with hair due to the weather. 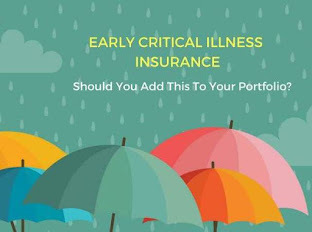 These challenges can be an overly oily scalp from sweating, frizzy hair from intense heat and humidity, or chlorine from swimming pools changing hair color from blonde to greenish gray. 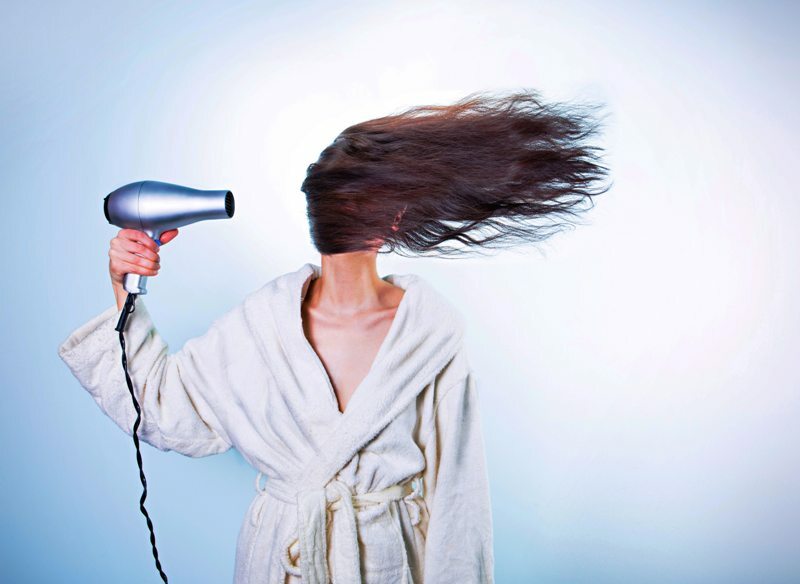 While all of these dilemmas are pertinent to summer hair care, this article will focus on quick tips to straighten frizzy hair. 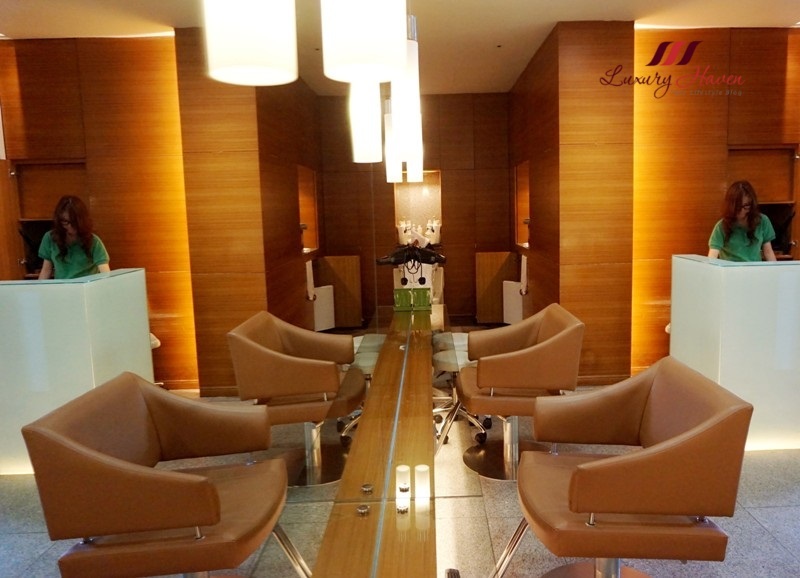 I was at Mosche Grand Hyatt recently to check out their Custom Scalp and Hair Treatment. I have the habit of prepping my hair a week before any harsh chemical treatment, so I was more than eager to visit Mosche as I learnt that my favourite Scalp Therapist has just joined the hair salon as their Senior Stylist. 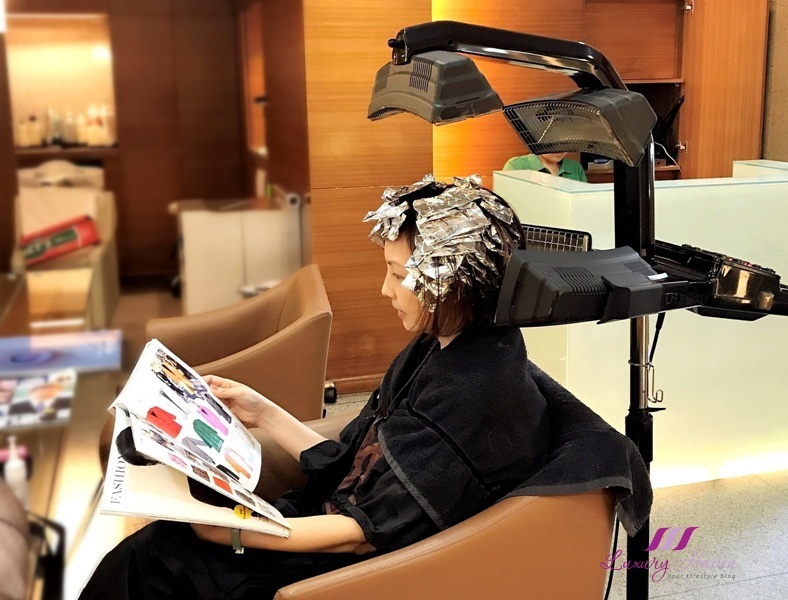 Amidst a well-manicured landscape with spacious seating area in the 5-star Grand Hyatt Singapore rests an upmarket hair salon, which is just a stone’s throw away from the Orchard MRT Station. 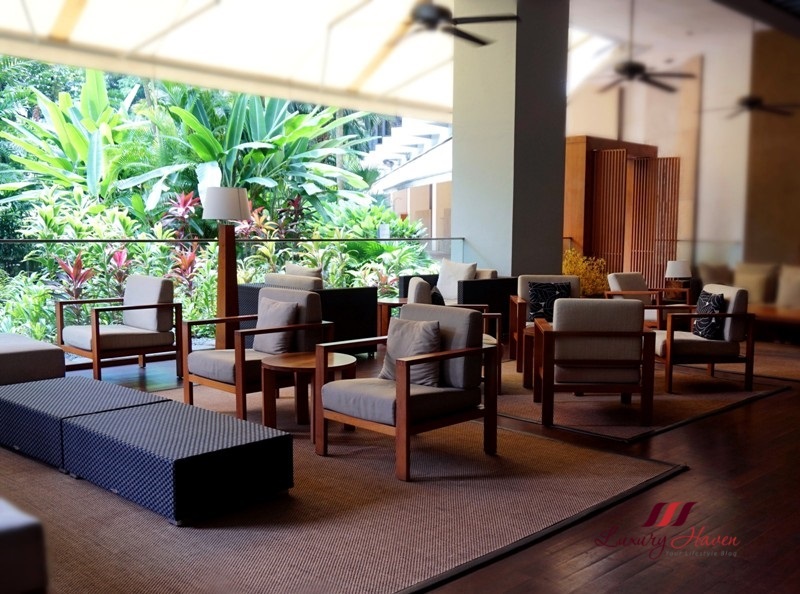 Wind down at Mosche Grand Hyatt for a deserving Scalp and Hair Treatment, a reputable hair salon in Singapore since 1979. Mosche has a tasteful finish with gold hue, featuring 6 exclusive seats with long pendant lights suspending just above the table emanating a soft glow. 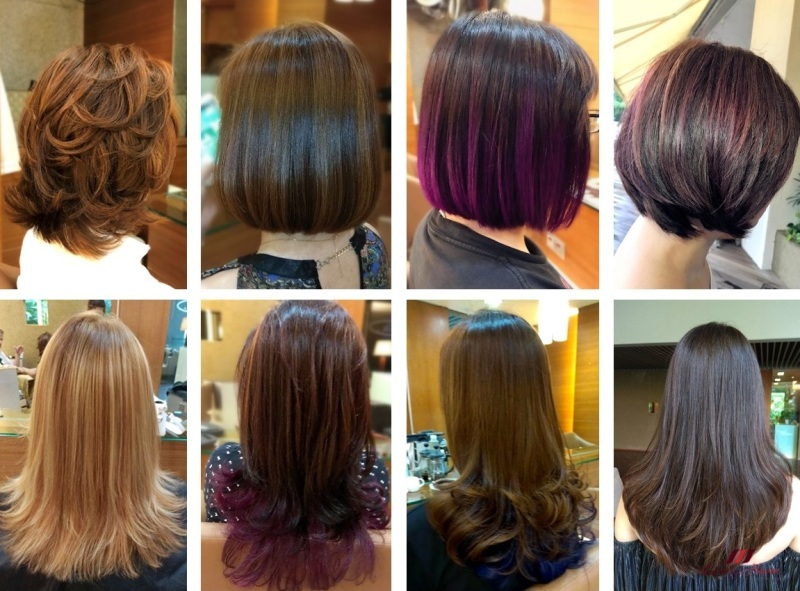 Clover Hair Boutique Styling Tips + 30% Discount Off! Do you know your face shape? Do you have an oblong, square, round or oval face? Should you be keeping your fringe at all? Fringe helps to shape your face too, and can even make you look younger. 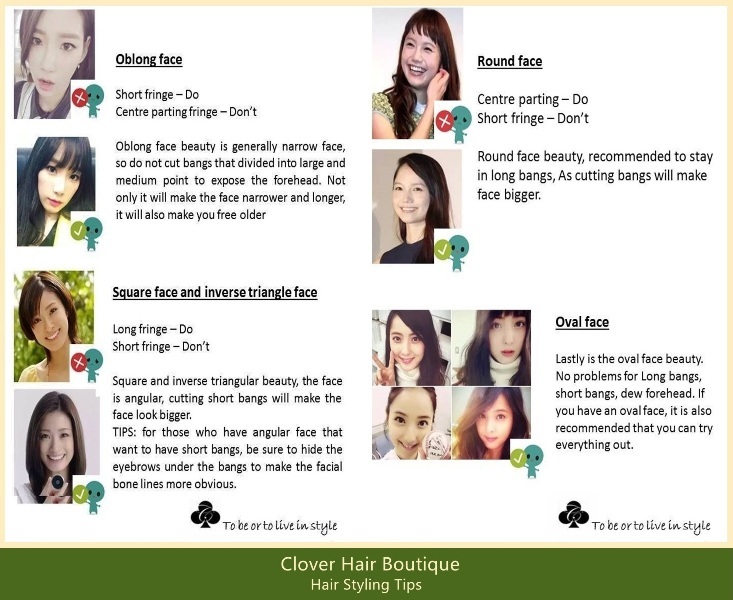 If you are fretting over the ultimate hair question – bangs or no bangs, perhaps you should take a look at Clover Hair Boutique’s styling tips to find the best bangs for your face shape! Just for you readers, quote LUXURY HAVEN during booking for your Special Readers’ Discount of 15% off all hair services! *Not valid with any Ampoules, Partial Treatment, Promo, Packages or VIP Discount. 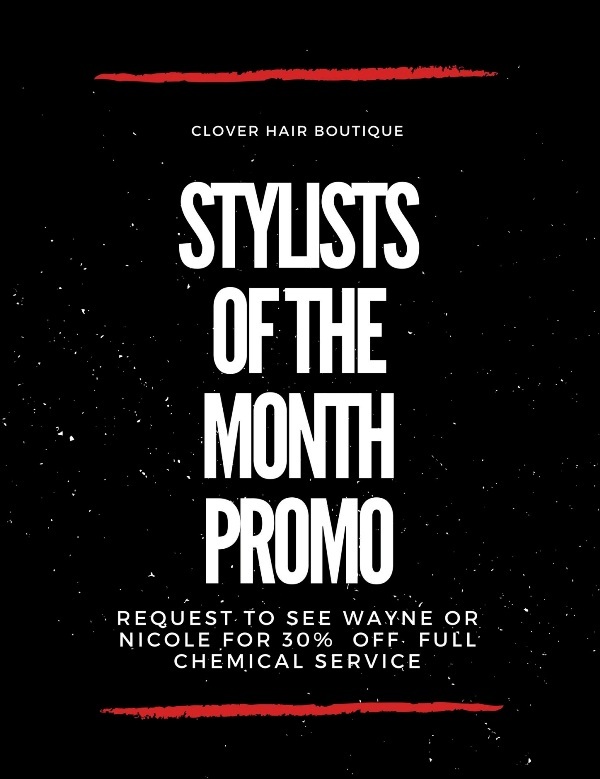 Or, request for Wayne or Nicole for Clover’s Stylists of the Month Promotion to get 30% off their full chemical service from now till March 5, 2017! Call +65 6836 2748 to book your slot now! Shu Uemura Master Ceremony Treatment at Clover Hair Boutique is what their hair stylists rave about. Like an elixir, the hair therapy is a distinctive customized professional treatment using natural ingredients for the utmost results. 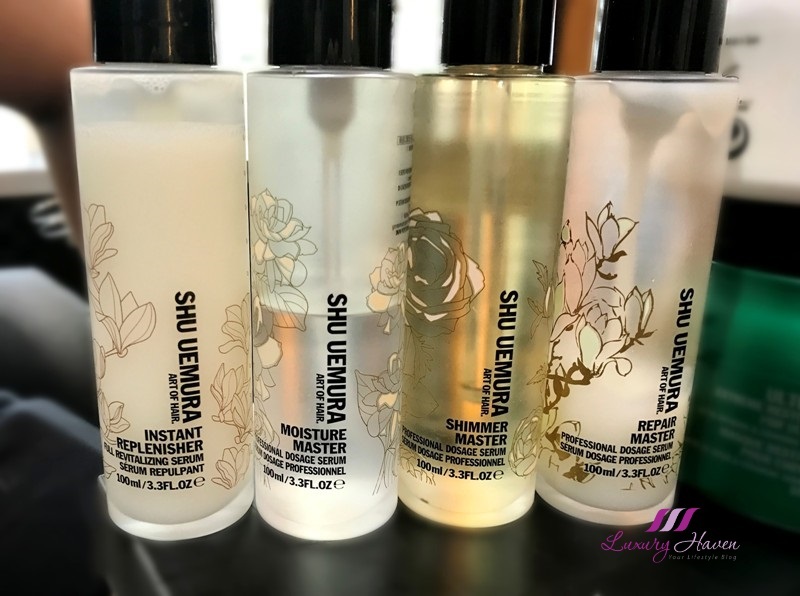 Shu Uemura Art Of Hair is a luxury hair care brand with exceptional treatments, shampoos, and styling formulas, all designed around rare ingredients and precious oils such as camellia oil, musk rose oil or argan oil.